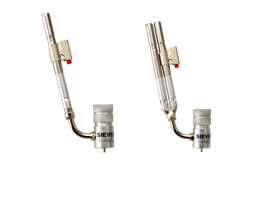 The New Turbojet Swivel Torches from Swedish Sievert are developed for professionals and 50 percent lighter than its predecessors thanks to their aluminum body. Accessibility has been improved and the burner can function in all directions. The rotating cyclone flame wraps itself around the pipe, providing extremely even heat distribution. This, together with a built-in pressure regulator, suits the new Turbojet to both brazing and soldering.